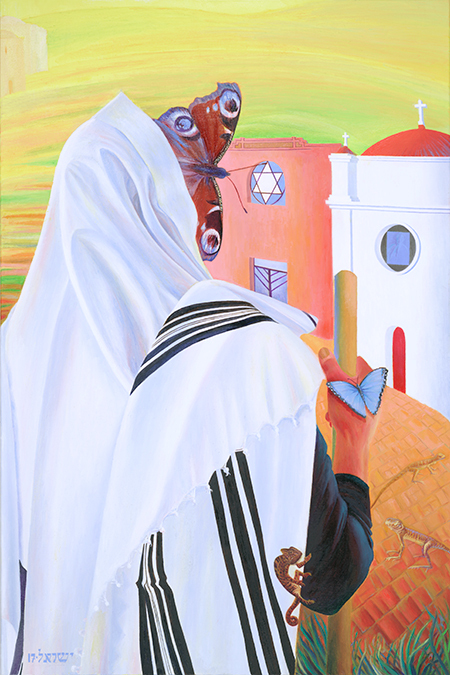 The painting Crossroads depicts Jesus returning to our modern times at the crossroads between a Jewish synagogue and a Catholic church with the question: which one would he be drawn to enter? Chameleons in the painting represent us people. The original artwork is available.